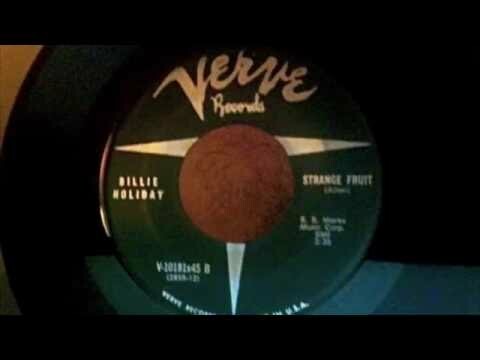 "Strange Fruit" is a song performed most famously by Billie Holiday. It condemned American racism, particularly the lynching of African Americans that had occurred chiefly in the South but also in all regions of the United States. Holiday's version of the song was inducted into the Grammy Hall of Fame in 1978. It was also included in the list of Songs of the Century, by the Recording Industry of America and the National Endowment for the Arts.